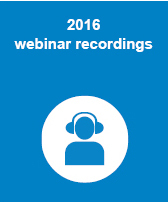 NCVER hosts free webinars that cover a broad range of topics relevant to the tertiary education and training sector. You can participate in these one-hour presentations from home, the office or anywhere in the world. You just need to connect to presentations using a PC, laptop or tablet via the internet. NCVER uses GoToWebinar technology by LogMeIn. You can check your system requirements prior to the webinar to make sure your system supports the technology. Future webinars to be announced shortly. Please email webinar@ncver.edu.au or subscribe to NCVER News to keep up-to-date with NCVER events. If you have missed one of our webinars, click on the link below to see the presentation and listen to the recording. Access is free. These webinars are hosted on an external site and you will need to register your name and email address to access.